Water Lilies – Pink Flower is from a group of six works that form Lichtenstein’s ‘Water Lilies’ series which pay homage to the water lily paintings of Impressionist artist Claude Monet. These innovative works were made on stainless steel to appear to reflected like water. 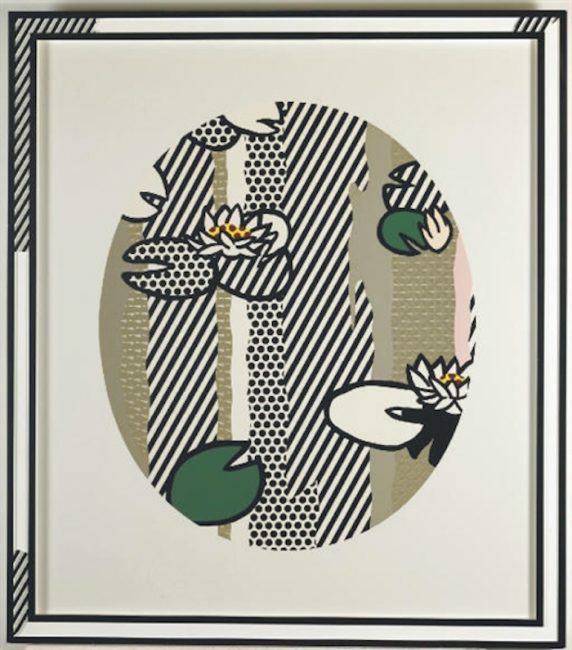 Lichtenstein had a long-standing fascination with reflections which he explored as a motif in many other prints and paintings.